You'll now find a new playlist from our Youtube channel on this page which contains the majority of the band's singles. Two videos that weren't available were Heartbreaker and Let's Go To The Moon, although neither were major hits. 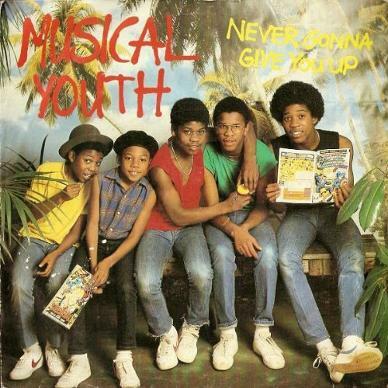 Musical Youth were a British reggae band who had six Top 40 singles in the 1980's, between 1982 and 1984. 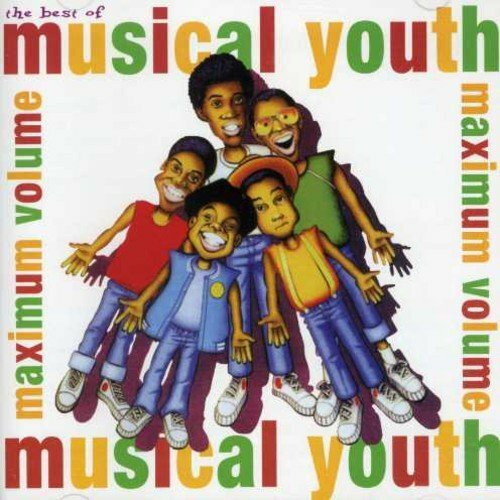 These were; "Pass The Dutchie" (UK #1, US #10), "Youth of Today" (UK #13), "Never Gonna Give You Up" (UK #6), "Tell Me Why" (UK #33), "007" (UK #26) and "Sixteen" (UK 23). 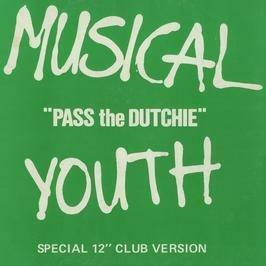 The band's biggest hit was, of course, Pass The Dutchie which reached #1 in the UK for three weeks from October 2nd 1983. The song made #10 in the US, which was their only US Top 40 hit. The 80s band's only successful album was The Youth of Today which peaked at #24 in the boys home country, but also reached #23 in the US. The brothers also sang on Donna Summer's 1983 hit single Unconditional Love. Musical Youth were active between 1979 and 1985 before they split-up after Dennis Seaton left the band. Sadly, in 1993 band member Patrick Waite died from an hereditary heart condition. However, the band reformed again in the early Noughties, although by 2005 there were just two members left - Michael Grant and Dennis Seaton. This is, without doubt, the most boring single sleeve by the band, although the blandness didn't put people off people from buying the chart-topping single. Now, this is real "feel good" music (actually, all of their songs are come to think of it!) and this was the lads second single release, and also the title track from the album. It peaked at #13 in the UK. 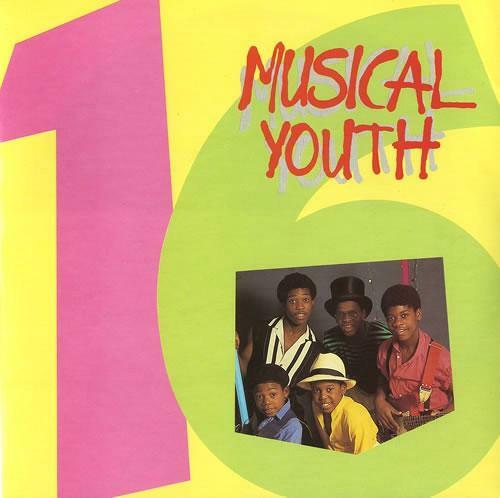 Not to be confused with the Rick Astley hit of the same name, this was Musical Youth's third single release and second-biggest hit, reaching #6 in the UK singles charts. 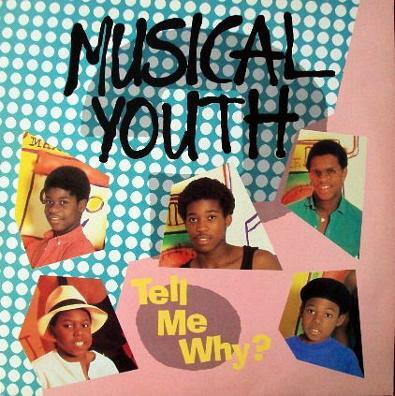 The band's fifth chart hit, Tell Me Why, peaked at #33 in the UK singles chart, and was the first single to be lifted from Musical Youth's second album Different Style. I remember the band looking all grown-up dressed as James Bond and performing their fifth single on the BBC's Top Of The Pops (UK) sometime in 1983. The song peaked at #26 here in the UK and also reached #27 in Ireland. This video features a BBC Top Of The Pops UK performance of Musical Youth's sixth and last hit single which reached #23 in the UK. Also included are the TOTP intro music and DJ's David "Kid" Jensen and John Peel. In 1984, the band released two more singles. "Whatcha Talkin' Bout" was a Steviie Wonder track that featured on the band's second album "Different Style!". 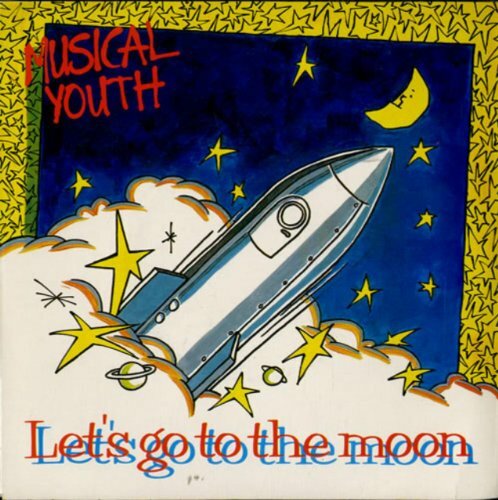 "Let's Go To The Moon" was a non-album single. Both failed to chart anywhere.